Moriarti Armaments is a Type 7 manufacturer of Firearms. 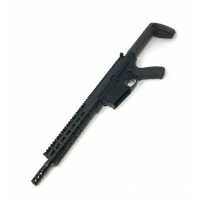 We specialize in AR10 builds and manufacturing. 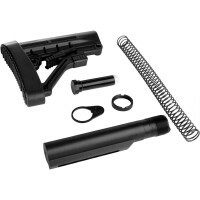 Our 308 lowers are DPMS style billet lowers low profile, build with finger groove. These are FFL transfer items. The Moriarti Armaments MA 10 Horizon Series was specifically designed for long range use. 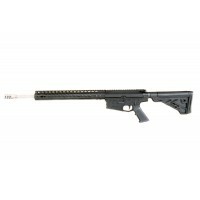 This rifle uses the .308 cartridge for extra power to reach out and touch your target. The MA .308 line features Moriarti’s uniquely designed parts for the lower to guarantee the best fit between the upper .. The Moriarti Armaments MA 10 Horizon Series was specifically designed for long range use. 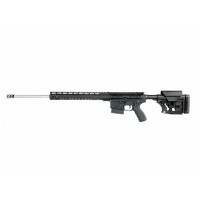 This rifle uses the .308 cartridge for extra power to reach out and touch your target. The MA .308 line features Moriarti’s uniquely designed parts for the lower to guarantee the best fit between the upper and .. THIS ITEM MUST SHIP TO A FFL. PLEASE HAVE YOUR FFL EMAIL A SIGNED COPY OF THEIR LICENSE TO INFO@MORIARTIARMAMENTS.COM. A SIGNED COPY OF OUR FFL WILL BE SENT WITH THE SHIPMENT. ALL NFA RULES APPLY.MA-10 .308 WIN MORIARTI ARMAMENTS 10" PISTOL WITH SB BRACE FEATURES:• ..
MA-10 .308 WIN MORIARTI ARMAMENTS SPR RIFLE. THIS IS AN FFL ITEM. THIS ITEM MUST SHIP TO A FFL. PLEASE HAVE YOUR FFL EMAIL A SIGNED COPY OF THEIR LICENSE TO US AT INFO@MORIARTIARMAMENTS.COM. YOUR ORDER WILL NOT BE PROCESSED UNTIL WE HAVE THE COPY. PLEASE BE SURE THE FFL REFERENCES YOUR INVOICE..